For around $200 in materials, anyone with some basic construction skills can create a paint booth. Isn’t that scary? 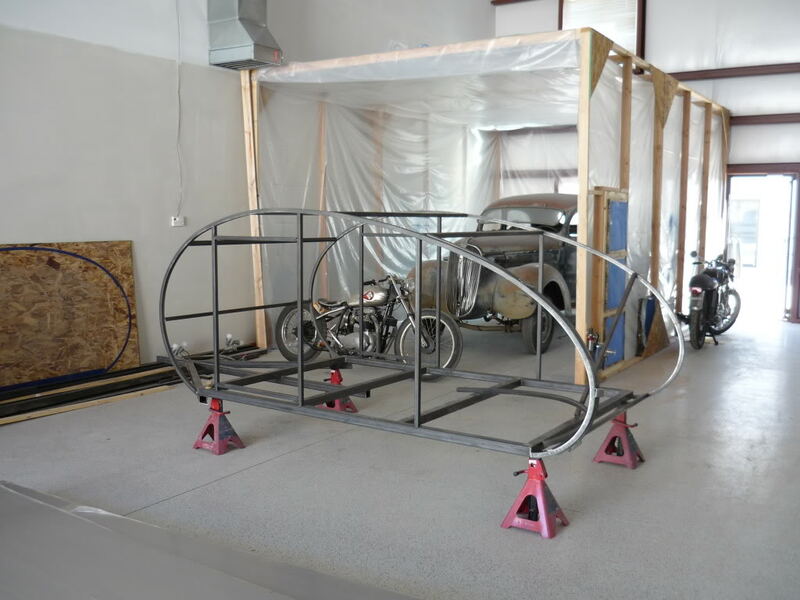 There are hundreds of sites and discussion boards online giving tips on how to build a homemade paint booth, and no two are the same. 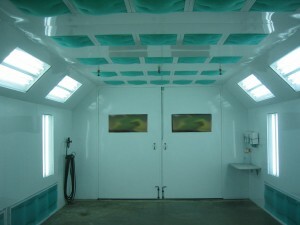 When looking into building your own homemade paint booth, just whom are you getting advice from? Do they know anything about the proper flow, safety, and design of a paint booth or are they just really crafty? There are really only two methods: one too common & one correct. DIYer heads to their local big-box store to buy supplies (plywood, 2x4s, nails, any type of light fixtures, two HVAC fans, HVAC filters and some vinyl sheet for ductwork.) 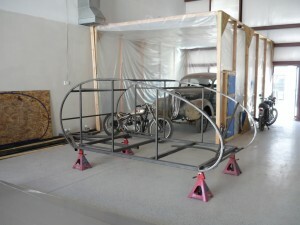 DIYer cleans out a corner in the shop or garage and builds a booth. No worries about airflow, adequate filtration, egress or other such nonsense. It may require a couple of attempts to get this part of the project just right. Once complete, DIYer brags to their buddies about how inexpensive this project really was. Once painting starts, DIYer leaves a door cracked for ventilation, leaving a high potential for an explosion or a fire. Overspray coats the item (due to poor air flow), the items around the booth (due to poor containment) and the items outside the shop (due to poor filtration). DIYer dials 911 when the paint-soaked plywood ignites.